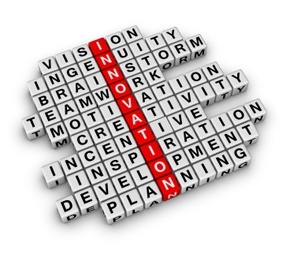 Genuine innovation is invariably the result of a process. Recognizing a problem, examining current or conventional solutions, assessing new ideas and, of course, trying new things until you find just the right answer. The natural by-product of that process is a whole lot of domain knowledge. At Sparx, our domain is skate sharpening. Our development team has devoted nearly every day for the last three years sharpening skates and evaluating the results. The challenge was not in recognizing the problems, but in finding the best solutions. To that end we have invested a remarkable amount of time, money and effort in our research and development at Sparx Hockey. The core of the Sparx team is made up of talented engineers. These are folks who previously designed precision medical devices and exotic automobiles. They are true perfectionists. Our R&D team sharpened and tested thousands of skates in pursuit of the perfect skate sharpener. 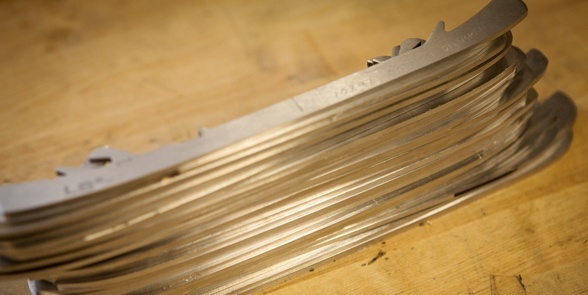 Shown below is a stack of skate steel that we have in our lab. That one stack represents several thousand skate sharpenings performed during a stretch of a couple months this past winter. And again, we've been at this for years. In addition to this core of engineers, the Sparx team also includes plenty of hockey and skate sharpening expertise. Besides being one of the engineers, founder, Russell Layton, started playing hockey as a young boy and to this day plays several times a week. Russ’ lifelong struggle to find a good sharpening inspired him to redirect his career to solve the biggest unmet need in ice hockey. Colleen Coyne who heads up marketing appeared on six U.S. national teams and represented the United States in the 1998 Olympic Games. 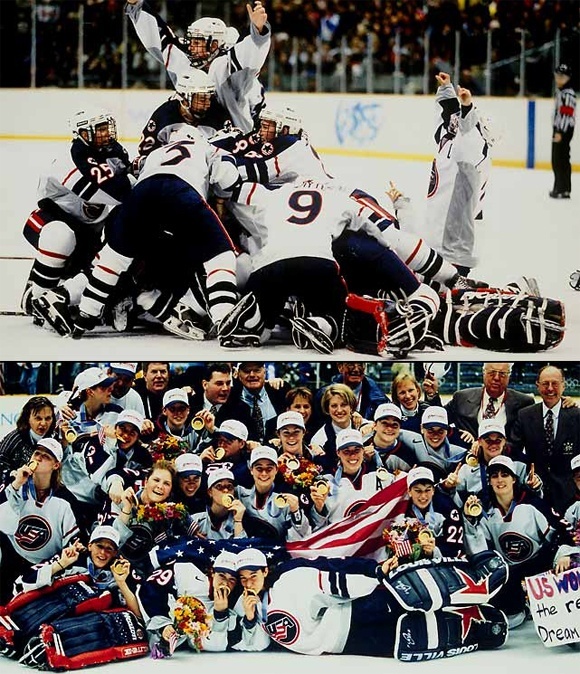 That team brought home the first Olympic gold medal in the history of women's ice hockey; still the only one the U.S. has claimed. While training, Colleen also worked in a hockey shop where sharpening skates was a primary responsibility. She knows, almost better than anyone, what goes into a perfect sharpening and the importance that a sharpening has in dictating a player’s performance on the ice. Working alongside Colleen in marketing at Sparx Hockey is Steve Balchunas. Steve is a super creative graphic designer who also happens to have nearly a decade of skate sharpening experience. Steve learned the craft of sharpening while working in a retail hockey store sharpening hundreds of skates a week. Steve’s mastery of sharpening will shine through in all of the media and advertising you’ll see from Sparx Hockey. Over the past few months, we have been asked dozens of questions about our sharpener and about skate sharpening in general. It’s clear from these messages that there is a lot of confusion around skate sharpening. What is Radius of Hollow (ROH)? What radius should I choose and why? What should I be looking for in a sharpened skate? Why do some sharpenings feel terrible? What if I don’t like my skates too sharp? Given all that we have learned, we decided to give our supporters and anyone interested in skate sharpening a single place to find answers to their most basic and more advanced questions. To begin, we decided to write a series of posts to provide you with all the information you need to determine if you’re getting a good skate sharpening. We’ll also describe how we designed the Sparx Sharpener to deliver great sharpening results – automatically! If you’re interested in learning more about skate sharpening please subscribe. We look forward to sharing with you what we’ve learned over the years playing hockey and developing Sparx. And, if there are specific topics you'd like to see covered, please do leave a comment or ask a question in the comments area below.